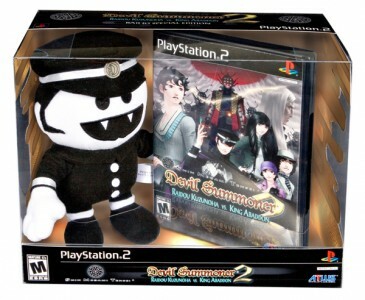 We’ll reiterate: each and every launch copy of SMT: Devil Summoner 2 is the deluxe boxed set you see above. It’s the ultimate Atlus Spoils offering, the ultimate SMT fan collectible, and it’s only available in very limited quantities, Faithful, so we recommend interested parties to consider pre-ordering at their earliest convenience. Atlus announced today that they would be bringing Devil Summoner 2 to North America, which is interesting because I don’t think the first one sold all that well, even for an Atlus game. 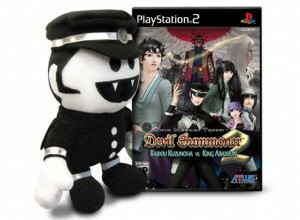 The official title is Shin Megami Tensei: Devil Summoner 2: Raidou Kuzunoha vs. King Abaddon…once I make my game it’s going to have a long name, too. Like Awesome vs. Radical Story: Super Bravery Shining Spirit and the theme song will be that song from Dawson’s Creek. “Each and every copy of the game’s limited quantity launch will ship with a rare Raiho collectible plushie,” which is pretty cool. The games going to cost $39.99 USD, which isn’t that bad. 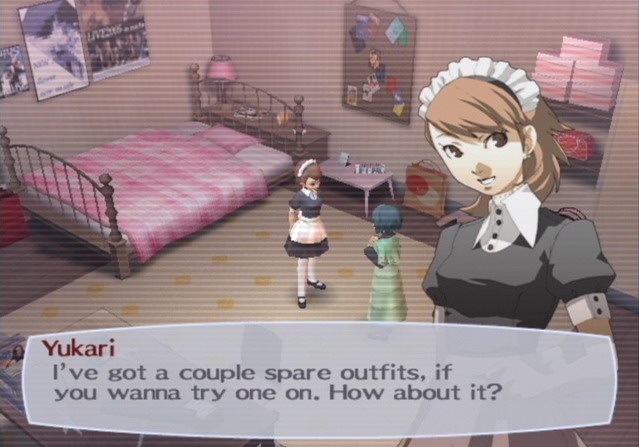 I kind of like how Atlus just keeps publishing games on the PS2. The announcement also mentions “Should there be future print runs of the game, they will ship without the Raiho collectible.” So don’t wait, just buy the game, don’t even think about it. 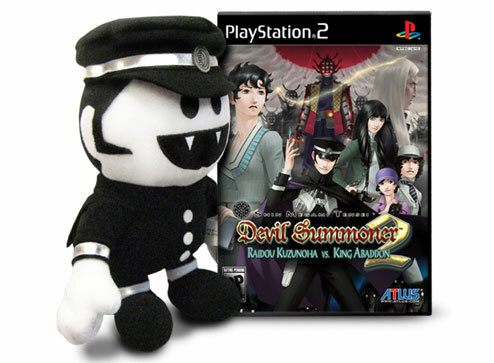 A new threat to Japan’s Capital calls for the return of its case-solving, tube-slinging Devil Summoner: Raidou Kuzunoha the 14th. When a woman walks into the Narumi Detective Agency and asks to find a man, Raidou’s boss is reluctant to accept, but soon it’s clear there’s more to the case than it seems on the surface. It isn’t long before Raidou is on the trail of crooked gamblers, masked ninja, and strange insects… a trail leading him inexorably to the mysterious King Abaddon. Poison Pink tells the story of the protagonists Tage, Olifen, and Hersh, who travel to the demon’s lair somewhere between the real world and hell to rescue a princess that has been abducted by the Besek. 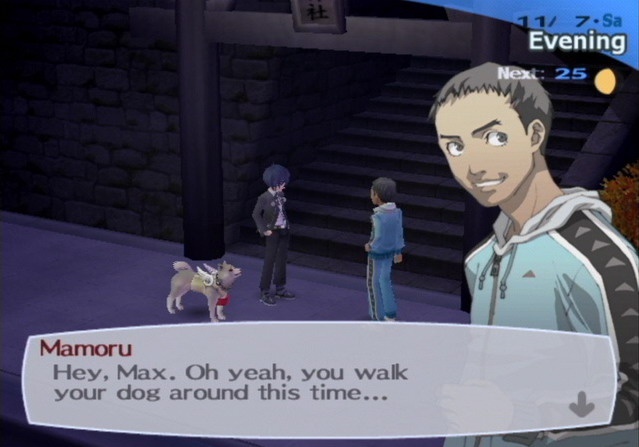 Yes, Persona 4 is coming to North America on December 9th. Yes, it’s only going to be $39.99. Yes, it’s going to be awesome and radical. And it’s coming in a deluxe 2-disc edition. 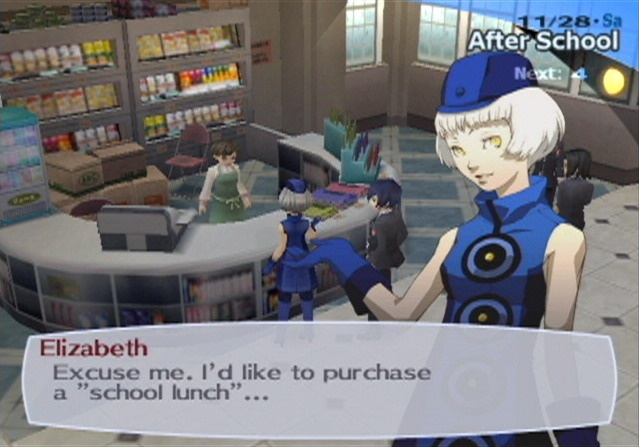 Persona 4 is coming to North America. It will be in stores THIS holiday season, December 9th, in a deluxe 2-disc release. 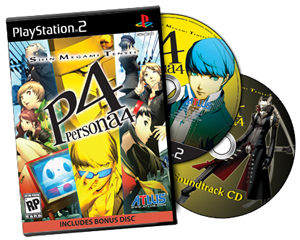 Each and every copy of Persona 4 will include a soundtrack CD with select music from the game. Persona 4. December 9th. Only $39.99. Mark your calendars. Experience a thrilling murder mystery RPG set in the Japanese countryside. A mysterious chain of deaths remains unanswered and only you and your team of gifted supernatural sleuths can uncover the truth. 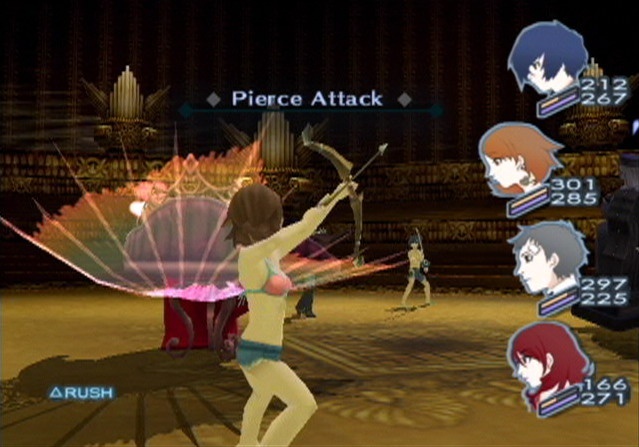 Develop strong friendships to aid you in battle, take direct control of your party in combat, acquire and fuse Personas, craft weapons, sign up for part-time jobs… You’ll never be short of something to do in Persona 4. Also, you can view a new trailer here. I can’t wait, I don’t know what else to say. How radical is this news? I’d say, from 1 to 10, an 11. I can’t hardly breathe, the awesomeness is just too much. 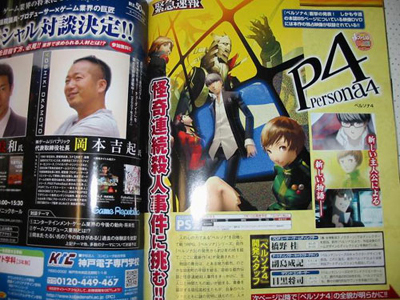 This week’s Famitsu has tons of information about the upcoming Persona 4, which will be on the PS2. 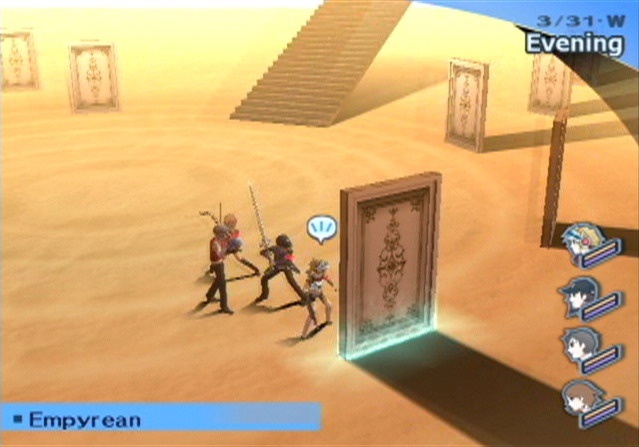 Persona 4 is set in the countryside and the story revolves around a murder mystery. 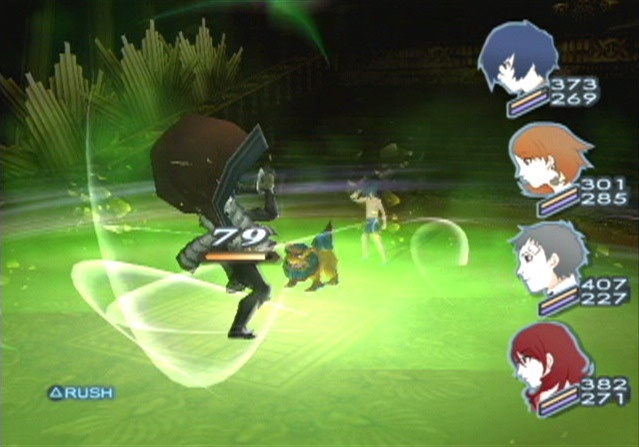 Persona 4 will also have an interesting new feature, a weather forecasting system and whenever there is fog…a murder takes place, which is interesting…different. 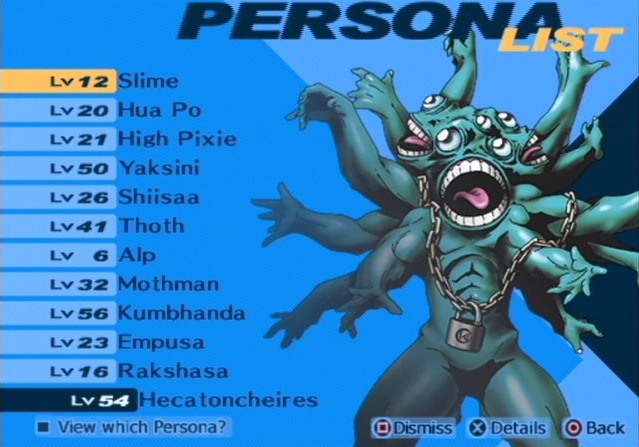 There will be 60-70 hours of gameplay and 180 personas, which seems like a lot (I can’t find how many were in Persona 3, but I don’t think there were 180). Persona 4 is scheduled to be released July 10th in Japan. Hopefully we will see a U.S. release soon after. 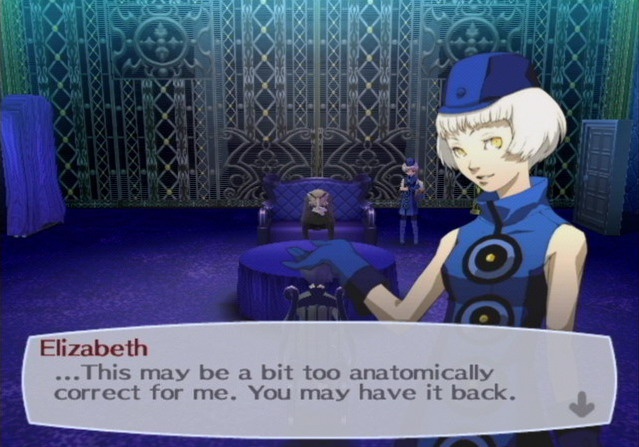 If I had to use two words to describe Persona 3 to someone new to the series I would say this: “awesome…radical”. I can’t wait to hear that same song remixed 20 different ways again. Atlus has put up a pretty nice site up for FES here, there is a good amount of information, screens, desktops, and even small clips of characters from the original game. Also, some new screens have shown up. Seriously, I don’t think the force has ever been more radical in a video game. I love him tossing the guys into the window, the window breaking and then the vacuum of space sucking them all out. I also like him picking up one soldier, hitting the other soldiers around him, and one of the soldiers grabbing onto the guy suspended in the air.